See why rhymes rule with a bumper pack of funny verse. It’s full of rib-tickling rhymes to send you poetry potty! There are roaring dinosaur rhymes, crazy creature rhymes, silly school rhymes, seriously spooky rhymes… and even some revolting rhymes to get you groaning. 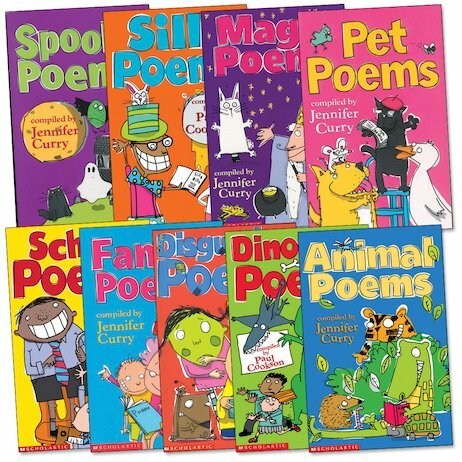 These wacky poetry books are full of silly fun – and with heaps of chances to read along, rhyme along, sing along and act along, they’re sure to keep you learning too!